One for Golf lovers! 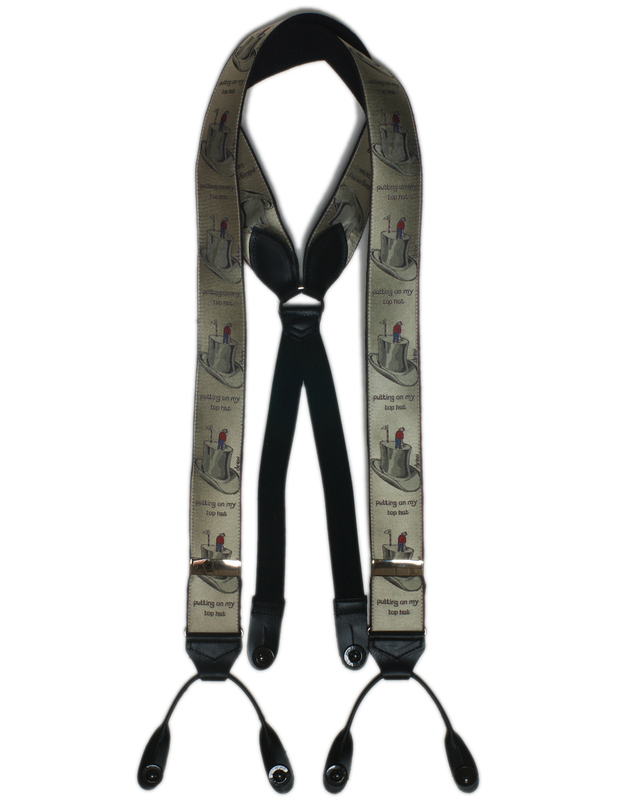 This pair of silk braces is features the text ‘Putting on my Top Hat’ and is based on an original drawing by Dartmouth based artist, Simon Drew. The silk facings are also woven in Dartmouth, Devon by Papilionaceous and then made into braces as part of the Albert Thurston Limited Edition range.